The NH Center for Nonprofits has announced that Joseph DiBrigida, Attorney and shareholder of Sheehan Phinney, and Lyn Gelinas, CTP, Senior Vice President, Government Banking Division of Citizens Bank, were recently elected to the Board of Directors. DiBrigida has been with Sheehan Phinney since 1988. His practice concentrates on all stages of business representation: formation, financing and capital-raising, day-to-day advising, contract formation and review, business planning, sales, acquisitions and mergers. He was the President and Managing Director of the firm for 9 years and served on the firm’s Management Committee from 2001 to 2015. He serves as outside general counsel to a variety of businesses and nonprofit institutions in a wide range of industries. 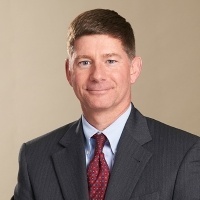 Gelinas has nearly 30 years of experience in banking and currently serves as a Government Banking Senior Vice President and Relationship Manager in New Hampshire and Vermont. In this role she is responsible for business development, business retention and communications with Government Banking clients. 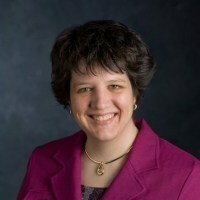 In addition to her professional duties, Lyn is a member of the New England Association for Financial Professionals (NEAFP), and the New Hampshire Government Finance Officers Association (NHGFOA), as well as the NHGFOA Training Committee. Board officers were also elected for two-year terms. Jeanine Tousignant of Jeanine & Company will serve as President, Ken Koorneef of Nobis Engineering will serve as Vice President, Jim Miller of Granite State College will serve as Treasurer, and Sara Kobylenski of Upper Valley Haven will serve as Secretary.